It's a challenge to describe memories of songs in this setting and be able to establish and convey a meaningful premise to demonstrate their importance. I'm 18. By the time I was actually paying attention to music, Kurt Cobain had already passed and Aphex Twin had already released Richard D. James Album. When I had first left public school a couple years ago, I essentially spent nine months locked in my house with nothing but an internet connection, loads of Goldfish crackers and even more Rockstar to supplement it. Eventually it became a ritual for me to watch some sort of short film off archive.org every night, whether it was some promotional campaign for a car company, a nuclear warfare public service announcement or a science film. I made it a rule not to watch anything made after the 1960s. This was my soundtrack, and I ended up making a mixtape but I've yet to dig up the original files. Maybe I'll figure out a way to make it available sometime in the future. Maybe if I were born in a trailer park on Mars I'd be able to produce music like this. I suppose my best alternative is the many nights I spent drinking Kool-Aid and watching Supermarket Sweep while ugly kids in loose flannel jackets would skateboard past my house listening to Korn on their ghettoblasters they had perched on their shoulders. I've always wished I had been born about ten years earlier. I really missed out on computer culture, I think. The simplicity of the concept during the 80s had much more character than it does now. Things are too intuitive and too many people use their computers now. If I had it my way, I'd be spending my days playing Dungeon Master and blasting this through my radio conveniently perched on the windowsill. Yeah, I had a Super Nintendo. I played it sometimes. My main thrill was my computer, though. Ever since I was probably 2 or 3, my parents either had me playing games on one or drawing things on one. So, naturally, I'm inclined to enjoy cheap sounding computer music. For many people, Tangerine Dream fell out of favor in the 1990s when they were no longer able (or perhaps even interested in) keeping current with their musical styles. However, this means that we got some wonderful cheesy space music out of it, and this is a prime example. I can't remember one evening that I didn't spend watching PBS while looking at NASA pictures or playing Magic School Bus: Solar System on my dad's Windows 95 rig. 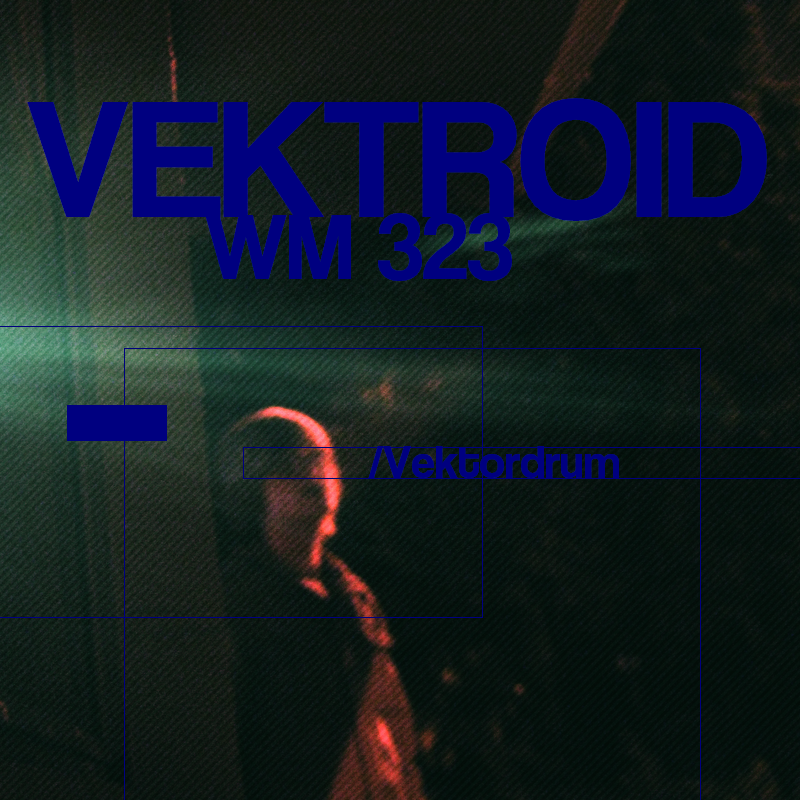 Eventually the obsession turned into the Hello Skypedals releases I put out as Vektordrum in 2009. This one is something I got interested in very recently. I can sense my space obsession coming back with the tracks I've been listing here, and this one is no exception... A few nights ago we had our first clear day here in probably a month or two, so I felt it necessary to go out and stargaze. Ended up putting Ruined Lives and ending up in this abandoned trainyard near my house that was completely pitch black, making the sky light up like a Hubble photograph. It was probably the most intense experience I've ever had. I don't think a track has inspired my musical endeavor as much as this one in a long time. The first time I heard this, I remember I was busy trying out some vinyls I'd bought earlier that day (at the time I was writing a lot of hip-hop which revolved mostly around samples... The samples ended up being from 78rpm records though) and fell in love with it pretty quickly. Within the next two weeks I had written most of my most recent LP (when I was still operating as Vektordrum) called Trinity. Sadly I didn't get the opportunity to do a lot of refining, however. This was THE song that sold me on electronic music. In hindsight, I appreciate pieces like EP7 much more than Autechre's early work, but I have an extremely fond memory of this piece as it demonstrated to me how simplistic an artistic endeavor can start... With a Casio keyboard and an 808 drum machine... And how massively complex it can become... Creating and modifying every noise produced through nothing but self-manufactured algorithms. If anything inspired me to pursue complex music, it was Autechre. I have a thing for video nasties, so it's natural that when I picked up TOBACCO's Fucked Up Friends 2 DVD this last summer that I'd be pretty mesmerized by it. I have to say this is the strangest yet most addictive and catchy thing I've heard in a long time. The fact that the music video was based on found footage of Fat Boys' Stick 'em video didn't hurt either. I admit to having first listened to VHS Head on the premise that it was secretly a moniker of Boards Of Canada (or at least one of the members of) and thus I picked it up very quickly. I think I would've ended up mistakenly ended up sleeping on the project for quite a while had I not already established that assumption. However, I think everybody who heard it was blown away to find how high the production quality on the self-titled album was, this song being no exception. It's nice to see music surrounding the analog essence, per se, without being any standard sort of music. The most ample description I could give of this would be Prefuse 73 vs. the T-1000. Criminally underrated artist. This is literally one of the first songs I ever heard. A few years ago, when I was passed down my mom's remaining collection of vinyl (consisting of the Steely Dan discography as well as Bob James' Touchdown and Morning Dance by Spyro Gyra) I was also given some tapes... One of which was Seals & Crofts' Greatest Hits. I grabbed again at about this time last year, and I've listened to it off-and-on since that point. It's hideously simplistic and certainly not their greatest demonstration of songwriting finesse, but it's their most memorable.